The buyers were in complete control until the advent of the Internet. No customer wants to be sold. They invest enough time to conduct research about a product or service before interacting with a seller for the purchase. The buyers now want to be listened to, and this change in behavior is a challenge for the way of traditional selling. A study conducted by Marketing Sherpa, 73% of the leads do not buy products or services in the first time when they give their contact number. They probably do not love to do business with you if a lead is not ready to buy your product/service. Another study done by Annuitas suggest that nurtured leads have a 47% higher AOV (average order value) in comparison with the deals closed without nurturing. If you want to be sure about having business deals with the generated leads, you need to develop a stronger relationship with your customers for the generation of higher average order value. You need to build a strategy to create and nurture leads. Lead nurturing is a way to help your customers to know your business in detail. Think about dates. Two people of opposite genders date to know each other better and they get engaged and married when they know well themselves. 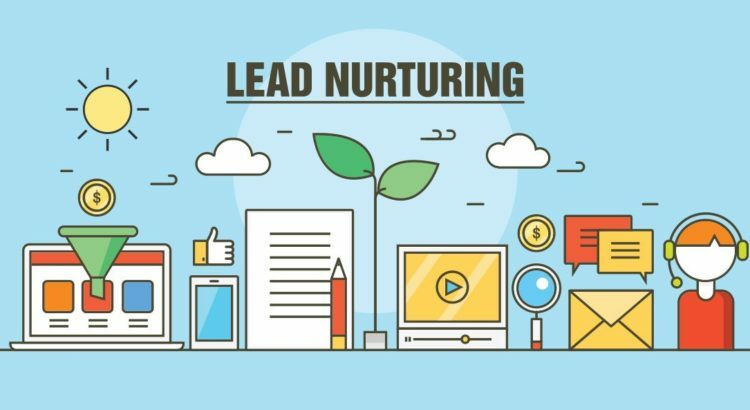 In the same way, lead nurturing helps you educate, inform, and develop trust with your leads so that they can be ready for having business deals with you? 79% of the leads do not get turned into sales. The lack or lead nurturing is the main cause of poor performance. Businesses doing better at lead nurturing have 50% more sales ready at a 33% lower cost. Organizations with mature lead management and generation practices have more than 9.3 higher SCA (sales cota achievement) rate. How to develop lead nurturing campaigns? Know your audience and define the segment – In general, businesses have more than one sort of customers. As a business owner, you should market your trade to that one type of patrons. To make your lead generation successful, you need to identify the customers who need nurturing. After the identification of your ideal buyers, you can segment them and start your lead generation campaign. Value time – Following at exact time is essential. You should send a follow up email to a client as you have a lead. Do following up within 24 hours as many studies show there is a decline in the response rate with time. Have multiple interactions – Lead nurturing is never a one and done deal. You will need to send many emails and have several interactions to guide a lead. Finalize the time frame for your sales cycle by going through the past data and interacting with your sales team. After that, mirror the length for your lead nurturing campaigns and email consistently to leads. Make the content relevant – Your follow-up email must have relevant content. You should highlight the part of relevant content in your email to guide the leads to take the next step. For example, you are sending an email titled as Evaluate Your Website. You should additional content on the best website practices. In the email, you should never mention the information of irrelevant product or service. Map offers as per the buying cycle – The content type is equally important as the time and relevancy. When a lead is searching information on a particular topic like blog post, you should email the content in the same way. The content should be based on information on blog post, but not on something else. Keep it concise and informative – To have better results in your lead nurturing, you should keep your follow-up email short and informative. Doing it is easy. You just need to stay focused on one topic in the email. In the email, there is no need to add HTML and multiple images. The content should be simple for a lead to comprehend. Value subject lines – Like the body content, you should keep the email title short and to the point. Avoid using promotional or sales terms in the subject and keep it up to 50 characters. The use of caps and exclamations can make the reader to take your email as SPAM. Use the right tool and technology – Constant communication with leads helps you convert them into your customers. For this, you need to manage dates, time, and methods for communication. Doing it manually can be hard. Therefore, you should utilize a tool like CRM for the automation of your email campaigns for lead generation and nurturing. Track your progress – Track your progress by going through data like open rate, unsubscribe rate, click-through rate, etc. With these key metrics, you will know how your lead generation and nurturing campaign is going on. Reevaluate your campaign, try to use stronger subject lines, adjust timing, and change email copy if your matter are poor or getting worse. Inform sales team – You should inform your sales team for all the content your leads have received. With this, you will make your sales process efficient. Have an exit strategy – You need to remove a lead from your lead nurturing campaign when it becomes sales. They don’t need to receive content offers now. If you continue emailing them, they can unsubscribe your email and you won’t be able to know when you need to re-engage with them. So, remove them from the nurturing campaign just after business dealings. Following the steps mentioned above can be a great help for your lead nurturing campaign. You will have better results this time.